Phone Attorney General Caroline Mulroney! I support the Human Rights Legal Support Centre (HRLSC) because every year they help thousands of people who experience discrimination. I don't support your 10% cut to their funding - please restore their funding immediately! Please click here to share on Facebook. 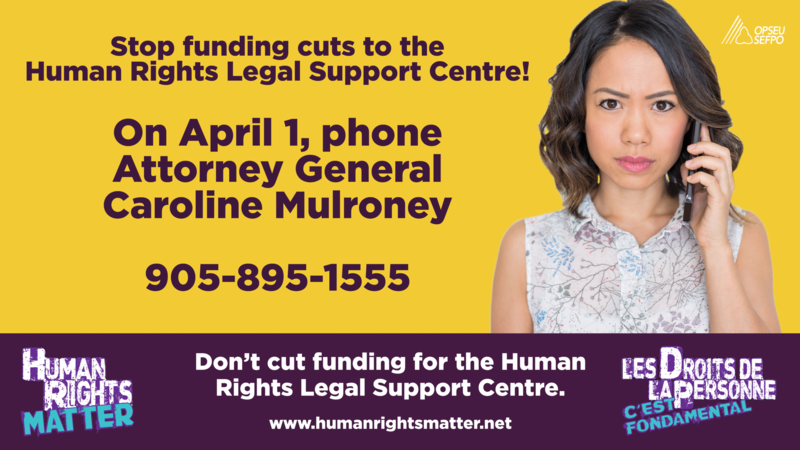 April 1 is the day that the Ford government is cutting 10% of the funding to the Human Rights Legal Support Centre (HRLSC). The centre is funded primarily by the Ministry of the Attorney General. OPSEU members who work at HRLSC do some pretty amazing work. They answer tens of thousands of calls every year from members whose human rights have been violated. They offer advice, support, and, for those who need legal representation, referrals to the HRLSC's team of staff lawyers throughout the province. Please call Attorney General Caroline Mulroney on April 1 and help HRLSC workers protect human rights in Ontario. 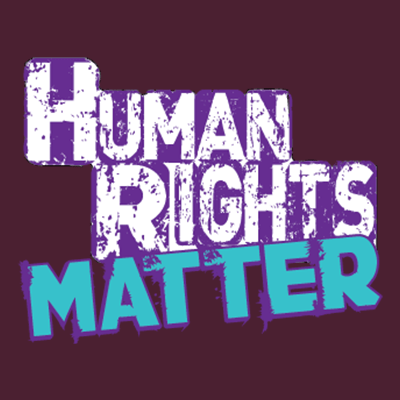 Visit www.humanrightsmatter.net for more information.